chocolate and coffee, great combination! Wonder if it comes in k-cups, will check it out. I love trying new flavored coffees. Thanks for the review. Wow, I never know what to make of these different teas and coffees. "Infused with lime, with a hint of ginger"… Say what? No thank you, I'll just stick to my ordinary Earl's Grey/Green Tea. But this sounds like such a fun cup! The packaging is adorable, and from what you say, we should give it a try. I love the brand name Brew La La; I think they've put a hell of a lot of thought into the branding and packaging so a pat on their backs for that. coffee and chocolate? sold! love the packaging, too! Mmm coffee! And macaron cofee! I'd definitely buy this if I find it here! Nice review! Yummy love it and your review made me more hungry. 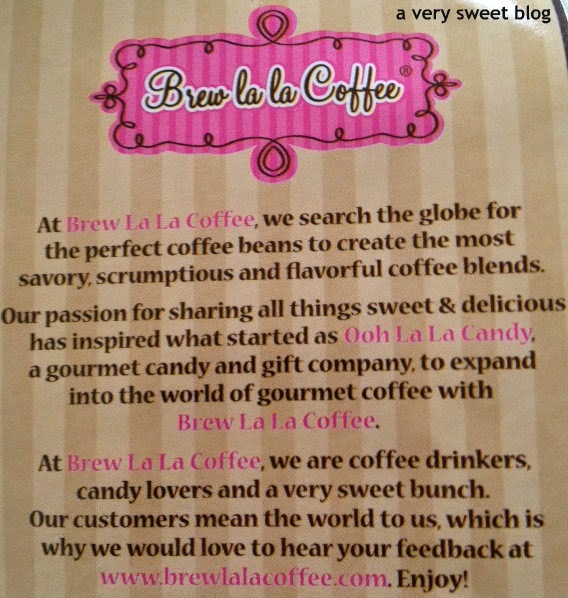 mmmmMmmm~ i am definitely a coffee lover and this sounds like heaven! I love coffee and I love different flavor coffee. We have always few different flavor coffee in cupboard, just in case if in that moment we fancy some. This sounds so good. Hope it will come to Ireland as well. Unfortunately I don't drink coffee--- don't get me wrong, I love it, but at the same time it gives me the shakes! However, if I *could* drink coffee this would be right up my alley! I don't drink coffee that often but when I do, I love something sweet! This sounds delicious! This sounds really yumm! Although I'm more of a tea person, would love to try this! Sometimes a short and sweet review is all you need. I'm not a coffee drinker but I've always loved the smell of coffee beans and grounds, especially the flavoured ones. I'd love to open a pack of this and just enjoy the scent! Two of my favorite things, chocolate and coffee. YUM! If I drank coffee I'd definitely want to try this as your description of it sounds just delightful Kim! Nice review Kim! I am want a cup of coffee righ now!! Macarons, chocolate and coffee! This sounds like a dream come true in a cup, haha. I'm so good that this got a good review, because I really want this! 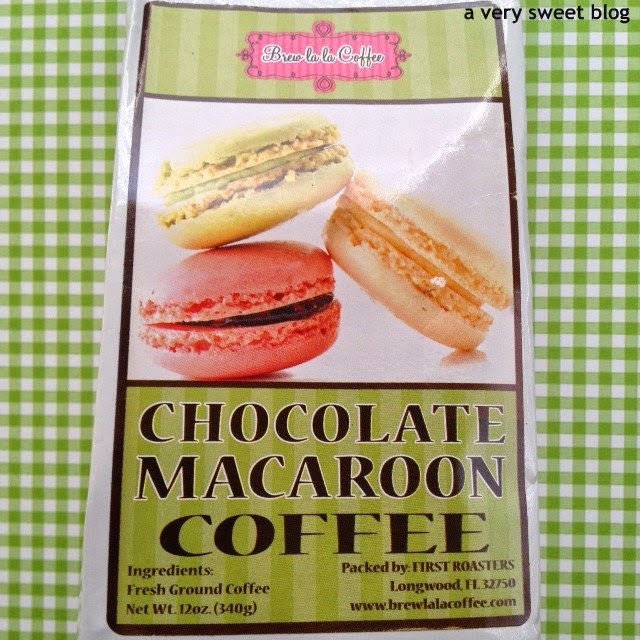 Really... chocolate and coffee and macaroons?? sign me up. Ah ha I was just in Walgreen's and noticed a flavor of coffee with some crazy flavor like cotton candy. What will they come up with next. This sounds yummy! Hi Kim, this is totally calling my name! Hehe. What a great post! Good to know. Sounds like a great coffee!! This is such an awesome review. Considering the fact that everyone loves macaroons. Cool flavor too. I am not as big on it as most but i am a coffee junkie. Thanks for sharing. Although I don't like the taste of coffee, I like its smell! Yumm!! What a cool flavor! Oh Kim I am a HUGE fan of their coffee and I did a giveaway on my blog with them as well For those who have the keurig I use the k cup filter you can purchase in any grocery store and fill it with your own coffee I like so many varieties and it is cheaper too to enjoy the coffee that way. Fab post as always! This sounds lovely! I've never tried a macaroon before, I feel like it's something I should have tried though! This weekend I am going to see coffee crops! That sounds so yummy!!! I want to try them so badly :) Where did you get them from? I'm having a hard time getting macaroons here in Ohio. Mmmmm. Looks like a really nice tasty treat. Awesome! I'm a dark chocolate lover, sound great to me. This sounds delicious! 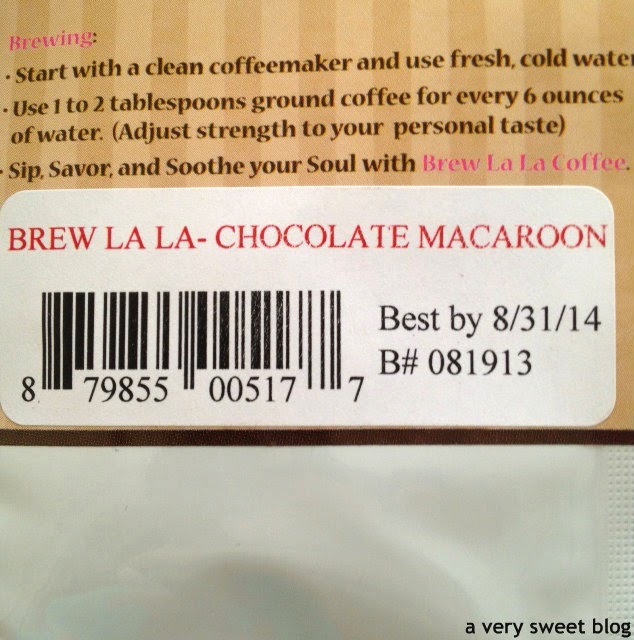 :) I never had coffee macaroon but it's up my alley. Oh my gosh this sounds amazing!!!! I'm quite skeptical about mixing coffee to other flavours, but as I like my coffee super sweet and powerful, this sounds very tempting. I am confused: what about Aveeno? Have a lovely day my friend. 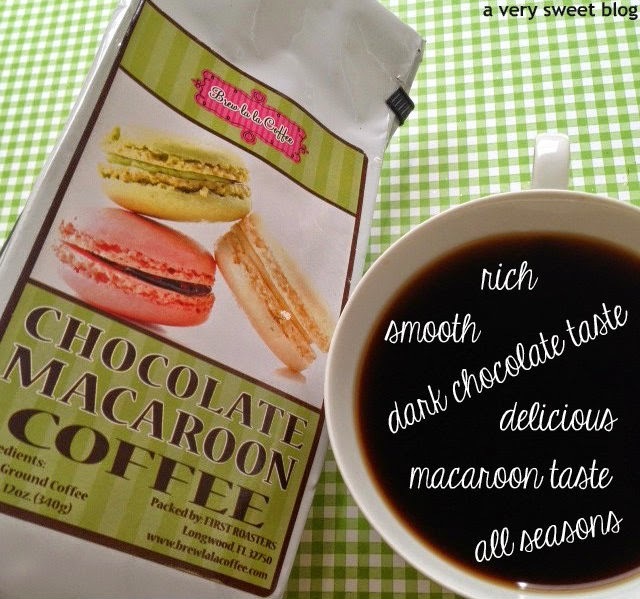 Coffee and chocolate macaroons sounds great! I've never tried this combo before! Yum, it sounds like a wonderful combination! You find the best stuff Kim! you have no idea how badly I have been craving good chocolate lately. with all the work pressure I have not been able to indulge. Oh that sounds absolutely delish! Nice review! I love macarones! Sounds like a coffee I would love! Another coffee lover here! I would never think of this combination, sounds delish! I so need to try that stuff! I love coffee, especially chocolate or sweet flavored kinds! This looks great I have never tried macaroons before. all three things that i love in one package, i wanna try do they come in K-cups? I love when coffees and teas have a natural sweetness to them! Yum! Since Seattle has such a rich coffee culture, we also have a healthy amount of pastry. Lately macaroons have been growing popular, and this looks delicious. I think my favorite flavor would be chocolate. I've never been one for flavored coffees, they always taste so artificial to me, but I know so many people adore them. Would you say you normally buy flavored coffees, or you don't and this one was exceptional? Oh it has been a while since I have read any blog but I have to say yours in one I missed a lot Kim! 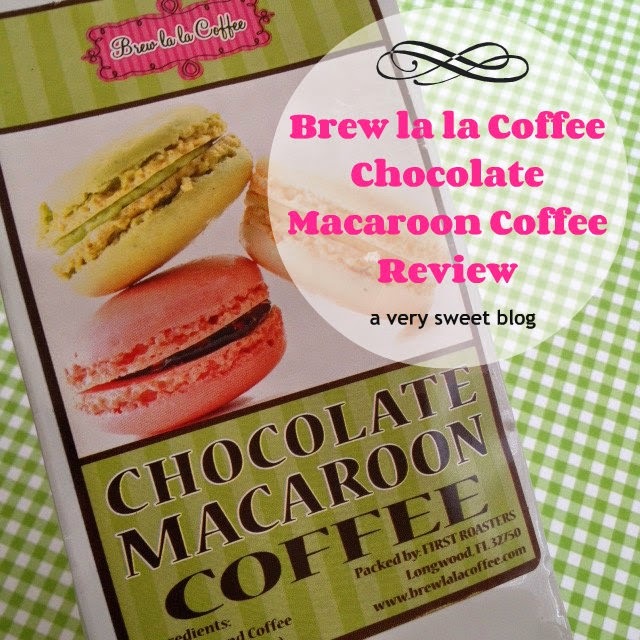 Looking at this coffee review reminds me of the delicious macaroons you sent for me! Simply delish! We are working on the K-cups now! The machine should be set up and ready to go in the next few months. Thanks so much for all the support!